I am writing this on my laptop. It was a great laptop a few years ago. Unfortunately, time has taken its toll. Several keys are missing, but the switch under the label is still there, so that isn’t the worst problem. Recently, some keys have uit working all together. (See, the missing “q”?) To get that letter, I must find it on another site or document and copy it into this one. Now other keys are getting slow to respond. Thankfully, I have a new keyboard on the way and will soon be typing without those hassles. As I think about it, I wonder if that I how God feels when using us to impact our world? He wants to send a message of love and to so serve fallen humanity. Unfortunately, we too sometimes garble the message. In dealing with our own sin nature, we send the wrong signal. The amazing thing is that He uses us anyway! You know, in some ways it is like my keyboard replacement. God fixes the brokenness and as He conforms us to His image, we are made new. The more He has shaped us, the more clearly we can show His love to others. “17 Therefore, if anyone is in Christ, he is a new creation. The old has passed away; behold, the new has come.” ESV. I’m grateful that God doesn’t give up on us. In the meantime, I’m going to look at the tracking information on my keyboard! God wanted us to know wisdom. He desires us to have good judgment based upon His knowledge and experience. 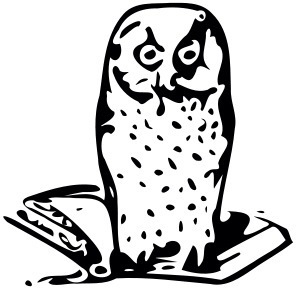 We all need wisdom. We need the quality of “showing experience, knowledge, and good judgment.” Oxford English Dictionary. Our world offers many sources of wisdom. You can find knowledge and hear of the experiences of others easily. Just go online and search for it, and page after page of opinions will be displayed before you all offering knowledge. God wanted us to know wisdom. He desires us to have good judgment based upon His knowledge and experience. Here, He reveals that as His purpose in inspiring Proverbs. Notice where it all begins. v. 7 says “the fear of the Lord” is the starting place for wisdom. The word fear means reverence, a state of piety and respect toward a superior. We must respect God as our superior and him Him in reverence. In other words, wisdom begins to grow in our lives when we have deep respect for our heavenly Father and recognize Him is our Superior in all things. This attitude puts us in the right frame of mind to begin to receive His wisdom. The Holy Bible: English Standard Version. (2016). (Pr 1:2–7). Wheaton: Standard Bible Society. My Cub Scout pack recently planned a hiking trip. One of the things we went over with the scouts was a list of things they should bring. Among the suggested items was a compass. 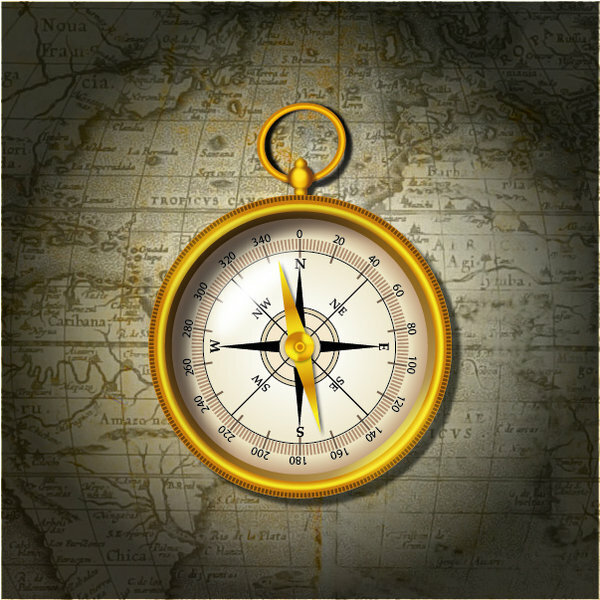 According to Google, a compass is “an instrument containing a magnetized pointer that shows the direction of magnetic north and bearings from it.” It is the ability to get our bearings which keeps us on track and heading in the right direction. It is hard to reach your destination if you can’t get your bearings. In life, we have 2 options when it comes to getting our bearings as they relate to morals. We can get our bearings of right and wrong from what men say or what God says. Today, we are getting more pressure than any time in my lifetime to adjust our sense of right and wrong based on the ideas of the crowd. Editorialists, bloggers, celebrities, and politicians have called upon churches to redefine our standard of what we call sin. The problem with that idea is that it would require us to edit God’s word and go against what He has declared. Solomon wrote, “There is a way that seems right to a man, but its end is the way of death.” Proverbs 14:12 NKJV To adjust our moral compass due to the pressure of men would be the same as “fixing” a compass so that it no longer points north. You may like the new direction you are traveling, but the destination will not be close to where you wanted to be. The true north of morality is an absolute fact given to us by God. When God has decreed something in His word, we are not free to change it based on society’s whims. God’s standards of right and wrong are unwavering. Our job is to adjust to the compass, not try to make it adjust to us. We must live out what He has declared and lovingly call others to come along with us. We all have adjustments to make. Every day we are confronted with pressure from the world and our sin natures to go along with them. When God has spoken on the subject the issue should be settled. If the Word says no, then our answer must be no. If one path is in keeping with the principles of the Bible and other compromises them, we just stay on the path of God’s word. My prayer for us all is that we will courageously stick with the compass of God’s word for our lives and not accept a false way. Author JamesPosted on May 29, 2015 May 29, 2015 Categories WisdomTags Culture War, doctrineLeave a comment on Which Way? I admit it, I am a large man. One time I was at Scarborough Faire, and heard it explained. My ancestors were the Robinson sept of the Gunn clan of Scotland. The re-enactors explained that there are three kinds of Scots, wee little Scots, average Scots, and “Oh my gosh that’s a big Scot!” I clearly descend from that latter claymore wielding variety. Being large, I have to walk with a little more care than others. If I’m not careful, I hit my head on things to which the rest of you might be blissfully unaware. I also have to consider the ability of quaint wooden bridges to adequately resist the force of gravity while I am crossing them. Many times my wisdom fails as I break things and nearly knock myself out. In life we must also consider our steps. Paul said this to the believers in Colosse. “Walk in wisdom toward those who are outside, redeeming the time. Let your speech always be with grace, seasoned with salt, that you may know how you ought to answer each one.” (‭Colossians‬ ‭4‬:‭5-6‬ NKJV). We must walk in wisdom toward unbelievers. I have always considered this to be a reminder to consider our testimony. We must never do things to push people away. Our words and actions will either draw people to Christ or scatter them away. These verses remind us to think before we speak and act. Consider the impact we will have on the people around us. May we all walk in wisdom and this draw others to the Savior.